Antony Turner works with two websites which provide easy-to-understand visuals that explain what is happening to Earth’s atmosphere, CarbonVisuals.com and CarbonSense.com. 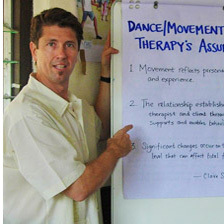 David Alan Harris talks about his experience in Sierra Leone working as a Dance Movement Therapist with former child soldiers. Here is a link to his writings about his experience. Also a tribute to Ravi Shankar. Music by: Lindsey Buckingham, Hard n Phirm, Michael Penn, The Band, Glenn Gould, Johnny Clegg, Manzu with C-Bolt, JR with King Attilla, Phoebe Snow, and Ravi Shankar.